Local 400 shop stewards from Kaiser Permanente facilities in the mid-Atlantic region pose for a photo during a seminar in February. 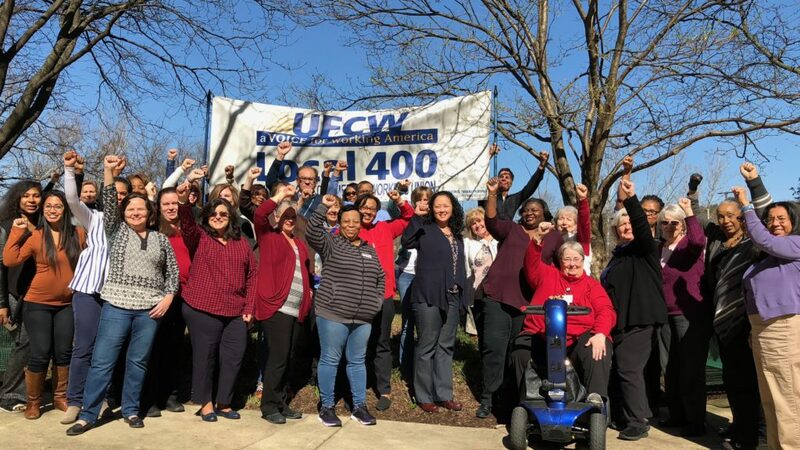 To secure the best new contract possible as we head into negotiations, 21 local unions from the Coalition of Kaiser Permanente Unions (CKPU) – including UFCW Local 400 – have decided to create a new coalition. We are forming this new coalition because it is the best way to ensure that we enter negotiations from a position of strength. This move will help to guarantee that every dedicated member who works at Kaiser Permanente will see the better contract they deserve. Additionally, this change will improve our partnership with Kaiser Permanente so that together we can continue to see a better workplace and better patient care. Please know that the current National Agreement with Kaiser remains in full effect. And we will immediately be taking steps with our new coalition to ensure this agreement is enhanced through upcoming negotiations. While we are departing the CKPU, we will continue to engage in current Labor-Management Partnership activities. Members should remain full participants of their Unit-Based Teams and Labor-Management Partnership Committees. In the coming weeks, we will create governing documents for the new coalition and arrange for Kaiser Permanente to bargain with us as a group. This new coalition represents about 45,000 workers and the committed Local Unions who belong to it represent workers in all but two Kaiser Permanente regions. By forming it, we will truly be stronger together. Thank you for your hard work and for being a member of the UFCW union family. If you have any questions at all, please don’t hesitate to reach out to us. Local 400 member, Joyce Graham, is retiring in May after more than 50 years working as a nurse. Joyce Graham says, “I like to be where the action is.” If anything, that’s an understatement. But it goes a long way toward explaining why she has kept working as a nurse at Kaiser Permanente into her late 70s, and is only now retiring this May. But the decision wasn’t easy because she loves nursing, her employer and her union so much. “It’s so nice to take care of people and see them get better, it’s rewarding,” she said. Joyce Graham graduated first in her class at the University of the District of Columbia’s School of Nursing. Joyce’s more than 50 years in nursing have been marked by a constant drive for self-improvement and desire to learn new skills—so much so, that she was a member of the first graduating class of the University of the District of Columbia’s School of Nursing. And she finished first in her class! Joyce started working as a licensed practical nurse in Pittsburgh in the early 1960s. In 1965, she moved to Washington, D.C., and was hired at the VA hospital. 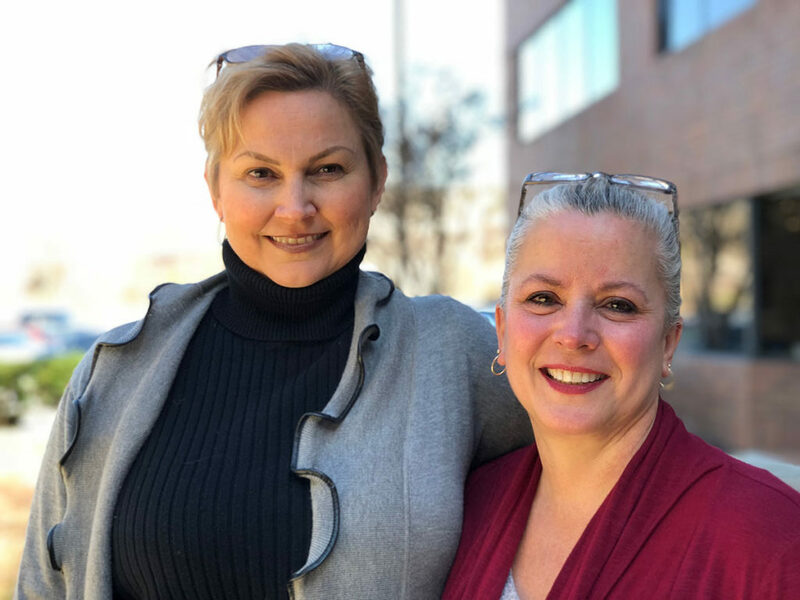 After receiving her nursing degree in 1978 and becoming a registered nurse, she moved to internal medicine at the VA. Then, in 1986, she went to work at the National Rehabilitation Hospital, and later at the Washington Hospital Center in their postpartum wing. In 1992, at the encouragement of a friend from her VA Hospital days, Joyce joined Kaiser. She first worked in Advice and then moved to Rheumatology, working at Kaiser’s North Capitol Street and West End Health Centers. Throughout this time, she conducted regular CPR classes to ensure that staff were certified in this life-saving procedure. She also served as lead nurse for Specialties (all departments other than Internal Medicine) and was responsible for ensuring that all clinical assistants were cross-trained to work in whatever department needed them. “Joyce is always growing and changing in our profession,” Lu said. “When we opened our Capitol Hill office, our Dermatology Department launched a new therapy called PUVA that uses ultraviolet technology. Joyce was already in her 70s, but she embraced it and became a PUVA nurse. Joyce moved from Pittsburgh to the District of Columbia in 1965 and worked at the VA hospital while she pursued her nursing degree. In retirement, Joyce has no intention of slowing down. “There are so many things I’d like to do,” she said. “I’ll be busy with work at my church, as always. I like to travel and I love going to museums and parades downtown, as well as movies. There’s so much to do and see.